This large family home offers over 2000 sq ft of accommodation and stands in a large plot of around 0.25 of an acre. At ground floor the 'hub of the house' is a magnificent open plan living/dining/kitchen (fitted with a Tom Howley kitchen) plus two additional reception rooms, a utility room and a shower room. At first floor there are five double bedrooms and three stylish bath/shower rooms with Villeroy and Bosch suites. There property has lawned gardens to the front and rear - perfect for those with young families. This is a beautiful home in one of Hale Barns' best settings and even the most discerning of buyers will be impressed by the spacious accommodation and stylish finish. A welcoming entrance hall accessed via a hard wood front door with obscure double glazed insert and obscure double glazed inserts to each side. Amtico flooring. Access to all ground floor accommodation and stairs to the first floor. A generous reception room situated to the front elevation enjoying the benefit of a bay window with lead pained double glazed inserts and two further double glazed windows to the side elevation. A beautiful gas fire with sandstone surround creates the main feature of this room. Amtico flooring. Radiator. A further reception room situated to the front of the property enjoying the benefit of a large bay window with double glazed inserts. There is a well appointed desk space fitted to one wall. Forming the hub of the home, there are three distinctive areas; the living space is a bright area with a double glazed window over looking the rear garden, the dining space also enjoys natural light through the bi-folding doors that provide direct access to the rear garden and an electric velux window above. The space is completed with travertine tiles with underfloor heating. Fitted with base level units there is space and plumbing for both a washing machine and dryer. A uPVC door provides direct access to the rear garden. Stainless steel sink with mixer tap. A well appointed suite comprising of a corner shower cubicle, WC and wash basin with mixer tap. Obscure double glazed window. Extractor fan. A spacious hallway providing access to all first floor accommodation. Cupboard. Skylight. A great size principal bedroom to the front elevation with bay window, a range of fitted wardrobes and radiator. A well presented shower room with thermostatically controlled shower, wash basin with mixer tap and WC. Obscure double glazed window. Another good sized bedroom with double glazed window overlooking the rear garden, radiator and fitted wardrobe and dressing table. Access to Ensuite bathroom. Well presented bedroom with fitted wardrobes with mirror fronted sliding doors and a dressing table from Rothwell and Thomas. Radiator. Double glazed window to the side elevation. Access to Ensuite bathroom. A contemporary suite serving both bedroom two and three and comprises of a large shower cubicle, wash basin with mixer tap and WC. Obscure double glazed window. Another double bedroom with double glazed window to the rear elevation. Radiator. Fitted wardrobes by Rothwell and Thomas. 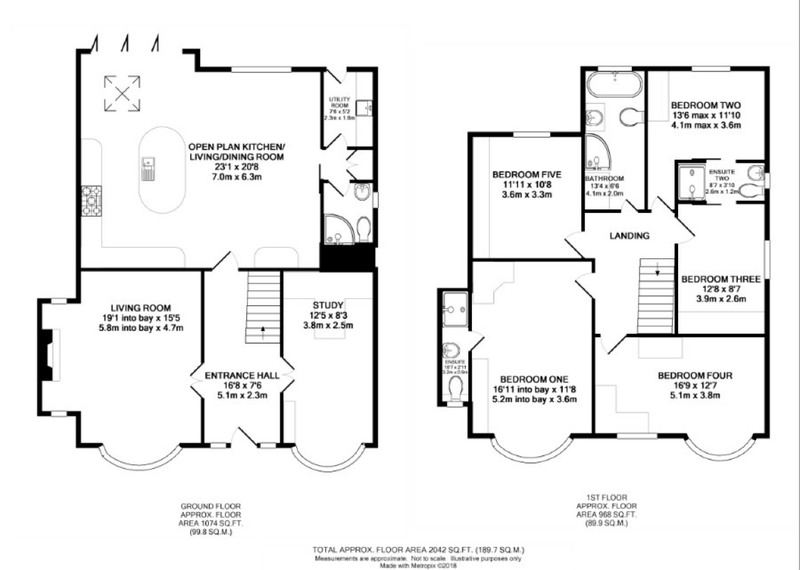 A beautifully presented suite comprising of bath, shower, wash basin with mixer tap and WC. The suite also enjoys the benefit of a large cupboard with sliding doors. The property sits comfortably within a large plot, to the front of the property a driveway for several vehicles and a lawned area with boarders surrounding. To the rear a landscaped garden mainly paved with various bark areas housing a number of mature plants and trees. The garden is finished with a stylish water feature. The vendor believes the property to be freehold and free from chief rent and is in the Trafford Borough, Council tax - Band F (£2144.84 pa). Leaving Hale Village via Broomfield Lane, proceed to the end of the road and turn right onto Hale Road. Proceed down to the traffic lights and continue straight into Hale Barns Village and continue over the second set of traffic lights and take the second right hand turning onto Tithebarn Road and take the first left onto High Elm Road. Take the third left onto Ravenwood Drive and follow the road round to the left and the property is situated on the left hand side of the road. The kitchen is Tom Howley and is fitted with a range of base and eye level units with granite work surfaces arranged around a central island unit. There is space for an American style fridge/freezer and large range/aga and has integrated Neff appliances including coffee machine, microwave and dishwasher. There is also an integrated stainless steel sink with a mixer tap and drainage board. A hot water tap has also been installed within. The space is completed with travertine tiles with underfloor heating. 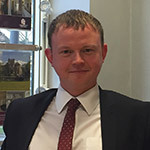 If you are a looking for a friendly, reliable and honest approach to selling your property then I'm ready to help! What does your query relate to?